The British South Africa Company appointed a variety of officials to govern Southern Rhodesia (called Zimbabwe since 1980) between 1890 and 1923. The most prominent of these were the Administrator and the Chief Magistrate, the first of which was in effect the head of government during this time. As such, he held a seat on the Legislative Council of Southern Rhodesia ex officio. The British South Africa Company was established following the amalgamation of Cecil Rhodes' Central Search Association and the London-based Exploring Company Ltd which had originally competed to exploit the expected mineral wealth of Mashonaland but united because of common economic interests and to secure British government backing. The company received a Royal Charter in 1889 modelled on that of the British East India Company. Its first directors included the Duke of Abercorn, Rhodes himself and the South African financier Alfred Beit. Rhodes hoped BSAC would promote colonisation and economic exploitation across much of south-central Africa, as part of the "Scramble for Africa". However, his main focus was south of the Zambezi, in Mashonaland and the coastal areas to its east, from which he believed the Portuguese could be removed by payment or force, and in the Transvaal, which he hoped would return to British control. The post of Administrator was officially created by section 8 of the Southern Rhodesia Order in Council of 1894, but in practice had existed as a deputy to the Chief Magistrate, who was the principal officer from 1890. The term of office was theoretically three years, though it was common to reappoint incumbents. There was, in addition, an Acting Administrator, who was a deputy. An Order in Council is a type of legislation in many countries, especially the Commonwealth realms. In the United Kingdom this legislation is formally made in the name of the Queen by and with the advice and consent of the Privy Council (Queen-in-Council), but in other countries the terminology may vary. 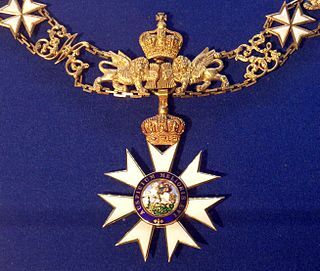 The term should not be confused with Order of Council, which is made in the name of the Council without royal assent. The Administrator office became defunct when Southern Rhodesia received responsible government within the British Empire in October 1923. It was replaced by the post of Premier, which was renamed Prime Minister in 1933. Responsible government is a conception of a system of government that embodies the principle of parliamentary accountability, the foundation of the Westminster system of parliamentary democracy. Governments in Westminster democracies are responsible to parliament rather than to the monarch, or, in a colonial context, to the imperial government, and in a republican context, to the president, either in full or in part. If the parliament is bicameral, then the government is responsible first to the parliament's lower house, which is more representative than the upper house, as it has more members and they are always directly elected. Archibald Ross Colquhoun was the first Administrator of Southern Rhodesia. He held office from October 1890 until September 1892, the period of the founding of Fort Salisbury after the arrival of the Pioneer Column. At this time the administrator's jurisdiction covered Mashonaland only, as Matabeleland was annexed in 1893. He was also acting Chief Magistrate of Southern Rhodesia between 24 July 1891 and 18 September 1891. Sir Leander Starr Jameson, 1st Baronet, was a British colonial politician who was best known for his involvement in the Jameson Raid. Albert Henry George Grey, 4th Earl Grey was a British nobleman and politician who served as Governor General of Canada, the ninth since Canadian Confederation. He was a radical Liberal aristocrat, founder of the Society of Apostles, and Aricles Club and a member of a string of liberal high society clubs in London. An active and articulate campaigner in late Victorian England he was associated with many of the leading Imperialists seeking change. Sir William Henry Milton was the third Administrator of Mashonaland, played rugby for England and was South Africa's second Test cricket captain. 1914 – 1923: Sir Clarkson Henry Tredgold, Sir Ernest William Sanders Montagu, and P. D. L. Fynn at various times. Joseph Johannis Vintcent MLC was an influential member of the Legislative Council of the Parliament of the Cape of Good Hope. Sir Thomas Charles Scanlen was a politician and administrator of the Cape Colony. Arthur Lawley, 6th Baron Wenlock,, was a British colonial administrator who served variously as Administrator of Matabeleland, Governor of Western Australia, Lieutenant-Governor of the Transvaal, and Governor of Madras. The fourth and youngest son of the 2nd Baron Wenlock, he attended Eton and Trinity College, Cambridge, before joining the military. Serving in the Mahdist War, he reached the rank of captain before resigning his commission to pursue other interests. Lawley was then private secretary to his uncle, the 1st Duke of Westminster, and subsequently to the 4th Earl Grey, who he followed to Rhodesia. Sir Charles Patrick John Coghlan,, was a lawyer and politician who served as Premier of Southern Rhodesia from 1 October 1923 to his death. Having led the responsible government movement in the territory during the latter days of Company rule, he was Southern Rhodesia's first head of government after it became a self-governing colony within the British Empire. Lieutenant-Colonel Hugh Marshall Hole, CMG was an English pioneer, administrator and author and best known for issuing the "Marshall Hole currency". Henry Melville Taberer was a South African cricketer who played in one Test in 1902. He was the son of the Revd C. Taberer and was born at a mission station in Keiskammahoek, Cape Province. The Southern Rhodesia Legislative Council election of April 17, 1899 were the first elections to take place in the Colony of Southern Rhodesia. They followed the Southern Rhodesia Order in Council of 1898 which granted to the Colony a Legislative Council consisting of at least ten voting members: the Administrator of Southern Rhodesia ex officio, five members nominated by the British South Africa Company, and four members elected by registered voters. The Resident Commissioner of Southern Rhodesia, Sir Marshal James Clarke, also sat on the Legislative Council ex officio but without the right to vote. Sir Raleigh Grey was a British coloniser of Southern Rhodesia who played an important part in the early government of the colony. The Southern Rhodesia Legislative Council election of March 17, 1902 was the second election to the Legislative Council of Southern Rhodesia. No change was made in the administration of the elections compared with the first elections three years previously, so the Legislative Council continued to comprise ten voting members: the Administrator of Southern Rhodesia ex officio, five members nominated by the British South Africa Company, and four members elected by registered voters from two electoral districts. The Resident Commissioner of Southern Rhodesia, Sir Marshal James Clarke, also sat on the Legislative Council ex officio but without the right to vote. The Southern Rhodesia Legislative Council election of 1905 was the third election to the Legislative Council of Southern Rhodesia. The Legislative Council had, since 1903, comprised fifteen voting members: the Administrator of Southern Rhodesia ex officio, seven members nominated by the British South Africa Company, and seven members elected by registered voters from four electoral districts. The Resident Commissioner of Southern Rhodesia, Richard Chester-Master, also sat on the Legislative Council ex officio but without the right to vote. The Southern Rhodesia Legislative Council election of 30 April 1920 was the seventh election to the Legislative Council of Southern Rhodesia. At this election the Legislative Council comprised thirteen elected members, together with six members nominated by the British South Africa Company, and the Administrator of Southern Rhodesia. The Resident Commissioner of Southern Rhodesia, Crawford Douglas Douglas-Jones, also sat on the Legislative Council ex officio but without the right to vote. Sir Francis Drummond Percy Chaplin, GBE, KCMG served as administrator for the British South Africa Company in Southern Rhodesia from 1914 to 1923. He succeeded William Milton. Edward Arthur Maund was an African explorer and Rhodesian pioneer. Lieutenant-Colonel Sir Marshal James Clarke was a British colonial administrator and an officer of the Royal Artillery. He was the first Resident Commissioner in Basutoland from 1884 to 1893; Resident Commissioner in Zululand from 1893 to 1898; and, following the botched Jameson Raid, the first Resident Commissioner in Southern Rhodesia from 1898 to 1905. Sir Francis James Newton (1857–1948) was a senior colonial administrator in different parts of the British Empire, principally in Southern Rhodesia. ↑ Warhurst 1999, p. 223. ↑ Chanock 1977, p. 44. Chanock, Martin (1977). 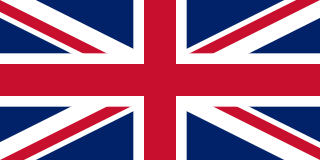 Unconsumated union Britain, Rhodesia and South Africa 1900–1945. Warhurst, P. R. (May 1999). "Imperial Watchdog: Sir Marshal Clarke as Resident Commissioner in Southern Rhodesia". South African Historical Journal. 40 (1): 223–238. doi:10.1080/02582479908671356.